15/06/2017 Welcome to the ChannelAdvisor Community! At ChannelAdvisor, we’re always looking for ways we can help your business grow. One of the biggest ways we know we help our customers is by providing a structure for support, strategy and — ultimately — success using the ChannelAdvisor software. We’re proud to introduce the brand new, easy to navigate, and highly-collaborative ChannelAdvisor Community. ChannelAdvisor customers can log in using their platform credentials and click through to access the full community. Not a customer yet? No problem! You can still access some parts of the Community and get a feel for it. The ChannelAdvisor Community is an e-commerce news feed, a community-based support system and an information resource — all rolled into one. 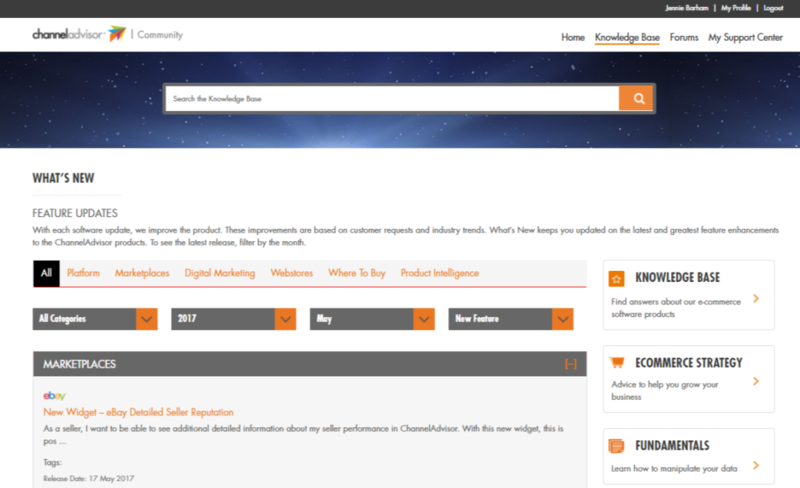 It’s where our customers stay up to date on industry trends and platform updates. It also serves as a direct line to experienced e-commerce experts ready to help you solve whatever challenges you face. But mostly, it’s a community of like-minded sellers and industry thought leaders. Predictive Search — Use the search or the category filter on the Knowledge Base to find exactly what you are looking for. We’ve removed the navigation pane on the left to reduce confusion and allow you to direct your own search. Getting Started — The most commonly used pages are on a prominent position on the homepage and represent a category in the Knowledge Base. E-commerce Strategy and Fundamentals — We know you want more advice and strategy to help your business, so the E-commerce Strategy page provides just that. 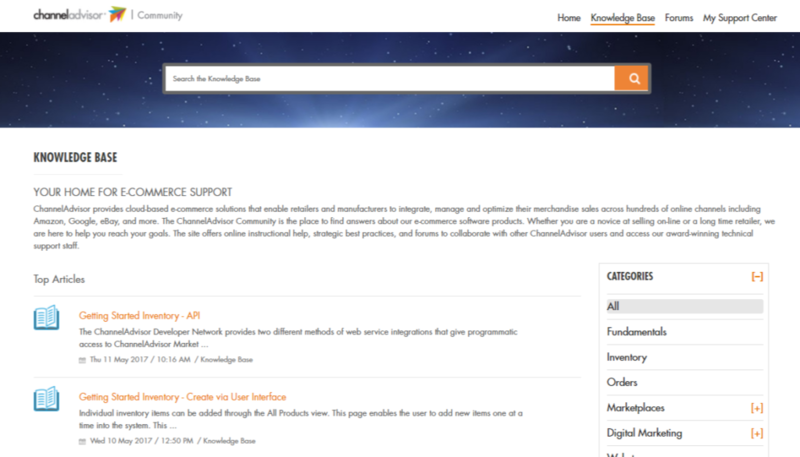 The Fundamentals page is your link to technical know-how and basic steps to help you get the most out of ChannelAdvisor software. We’ve put together a short video to walk you through the new site — and we welcome your feedback! You can reach us at community@channeladvisor.com.